How Does Technology Benefit Your Meditation Practice? Can technology and a true meditation practice coexist in a meaningful and beneficial way? This quandary is on the minds of nearly everyone actively involved in meditation communities or with a long-standing, committed practice. When we consider the fast-paced, highly technical world we live, work and play in, this inquiry shouldn’t surprise us. It is, in fact, worth our time and investigation. Those in favor of the marriage between modern technology and ancient meditation practices believe that incorporating tech brings otherwise unlikely candidates into the world of meditation, while also enhancing the practice of the long-time practitioner. For these people, moving with the flow of advancement is vital to the preservation of traditions we hold most dear. Because of the immense focus on researching the effects of meditation in recent history, we know that the discipline of prolonged focus brings a level of wellness worth pursuing. However, there are also many people who are wary of jumping into the world of technically-enhanced meditation with both feet. Pairing meditation with the modern and ever-changing technologies of today, they say, only creates a dependence that can actually interfere with the life-changing effects of meditation. The need for “tools” such as a phone or WiFi or even electricity is counterintuitive to a practice that is known for its accessibility. There is also some fear that if meditation becomes a practice that is accessed primarily through tech, especially in the West, it will become a practice of the privileged. 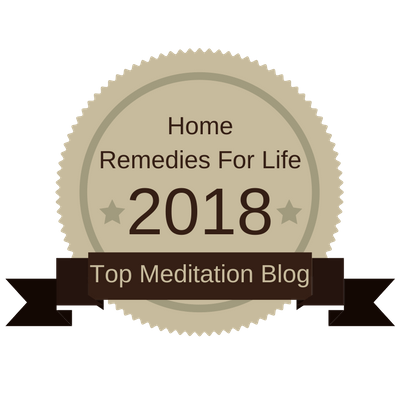 This is an affront to the core beliefs of meditation practitioners, who believe that anyone can and should be able to enjoy the benefits of meditation. It’s a difficult and nuanced discussion, to be sure. Like most things, it is probably best navigated with openness, discernment, and balance. Even the Dalai Lama has advocated for the Buddhists to remain open to the discoveries of science, declaring that if scientific research ever shows a Buddhist belief to be false, Buddhists should change their beliefs. This same openness is required for those who question the validity of incorporating technology into the foundations of meditation. It is also the standard that anyone looking to make a buck off the popularity of meditation with supposed technical advancements should hold. Accessibility is a big part of this discussion. While it’s true that external components are required when you bring technology and meditation together, this isn’t entirely negative. The fact of the matter is that much of the world operates at a technical level. We use technology for nearly everything from shopping to scheduling to communication. In fact, technology has become such an essential part of our lives that we often feel naked and exposed without it. For this reason, it makes sense to give some of that space to the life-giving practice of meditation. Not only does this mean that we are able to incorporate meditation into the many brief moments between activities throughout our days, but it means that instead of engaging in a soul-sucking activity such as browsing social media, we’re engaging in healthy focus and breathing. In this way, meditation can actually interrupt our dependence on immediate feedback and teach us to stop and recalibrate our minds, and ultimately, our lives. In some cases, technology is the economically sensitive way in for someone who might never enter the doors of a meditation studio, especially when the monthly membership costs are prohibitive. Many meditation apps are free, and those that often cost less than ten dollars. When meditation becomes wallet-friendly, it automatically throws open the doors for many who might not otherwise be interested in the practice, no matter how beneficial. Of course, if you decide to go this route, you should be mindful of the quality of the apps you’re using. Research the creators and look for reliable reviews. Some mobile apps focus on teaching you to notice the moments in your day that are actually opportunities for mindfulness. Keep in mind that mindfulness and meditation are not synonymous, so you’ll want to be extra discerning when it comes to these apps or tools. Others are dedicated to helping you begin or maintain a true meditation practice. Again, recommendations and critical analysis from experts will help you to sort through these apps as well. Some of the best, well-reviewed apps may not be available on every platform, so it’s important that you either only look into apps that are safe and available for your device, or that you securely implement the various quality apps on multiple devices. Muse: This app is paired with a brain-sensing headband. 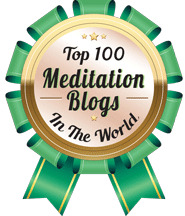 It provides guided meditations as well as real-time feedback. Headspace: Headspace provides guided meditations for free, and also offers a subscription service that unlocks even more guided meditations. Omvana: Omvana provides access to different meditation sounds, sessions, and focuses. Meditation Timer Pro: This app allows you meditate in whatever way you choose, providing both default and customizable sessions. Buddhify: This app focuses on bringing meditation into every aspect of your daily life, from sleeping to work to exercise to eating. When researching mobile applications, meditation instructors and methods, the good news is that thanks to technology, you are likely able to conduct quick web searches that aid you in your decision making. These searches often reveal not only valuable information about your practice, but whole communities of like-minded individuals for you to connect with as you weave meditation into your life. When involving yourself in online communities, you may find your understanding of your practice expanding as you learn from the other members about their practices. These communities are often among the first to know about free meditation workshops, conferences or other available resources. Online meditation communities also, perhaps more importantly, exist to bring a healthy relational component to a highly individual practice. It’s possible that after awhile, you’ll find that you are able to meditate without the aid of a guided meditation application. Spending so much time learning from the high-quality apps or even YouTube videos, you’ve reached a new level in your practice. This is among the many benefits of allowing technology to aid you in your pursuit of meditation. You’re experience various teachers and types of guided meditation, learning what you respond well to and how your body best enters a state of intense focus. Even if you find yourself in this place, however, be wary of eliminating the support of technology altogether. You’ll probably find yourself blocked at some point and knowing that you have a tried and true avenue back to your practice can bring a lot of peace of mind. It can also bring the relief of keeping up with your practice, even in the busiest seasons of your life. The availability of specific intentions allows you to enter into a meditative state without expending the mental energy of creating your own. You’re correct in considering the purity of a meditation practice when you add technology to it. The last thing you want to do is create a practice that is entirely dependent on the constancy and reliability of technology. Technology changes all the time, sometimes derailing those who have settled into what is now an outdated application, tool or program. However, approaching this discussion with an open-minded yet critical perspective will serve you well. It will allow you to embrace the aspects of modern-day life that meld well with the ancient practices of meditation. It will allow you learn the basic foundations of meditation without the high cost of a studio or private teacher. It will allow you discern between the truly beneficial applications or tools and the false, cheap and even harmful. Taking the time to investigate technology’s impact on your practice will add value to it, and will give you a solid foundation from which to move forward. In what ways has technology enhanced or harmed your meditation practice? Tell us in the comments! Faith Macanas is a freelance writer whose background in mental health has given her a deep appreciation for meditation. In her busy, hectic life as a mother, she credits meditation with keeping her balanced. Faith writes about health and wellness on a variety of online spaces, sharing her love for a healthy, well-rounded life with her readers.